Customer experience is one of the most pressing mandates for marketers today. Not only is it a critical component of your overall brand image but it’s also primed to be the next competitive battleground. According to a Walker Information study, by 2020 CX will overtake price and product as the key brand differentiator. In fact, a research by the White House Office of Consumer Affairs found that 80% of U.S. consumers would pay more for an upgraded experience. This, coupled with other benefits of a positive customer experience such as customer loyalty and referrals, has led to the rise of customer-centric companies. Today, 89% of companies expect to compete mostly on the basis of customer experience compared to 36% four years ago. As a result, more and more companies are hiring chief customer officers (CCOs) to ensure that customers have a positive experience at every stage of the customer journey. A post previously thought ambiguous, today’s CCOs are responsible for making sure the business actually delivers on its brand promise at every moment. Customers experience is the pulse of every business. The experience you offer your customers is closely tied to your overall business performance. Improve your customer experience and your bottom line will improve! In this age of technology, word travels very fast. When customers are satisfied, they are likely to promote your company among their friends. But if things go south, the customer may leave, tarnishing your brand reputation in the process. While paying close attention to each customer touch point is important, avoid overdoing it. Instead, put yourself in the shoes of your customer and start thinking about the full customer journey, end to end and not just small components of it. The customer journey encompasses all experiences that a customer goes through when interacting with a company. It starts from the moment a customer begins considering a purchase through to the moment the customer buys a good or service. To ensure that your customer has a positive CX, you should make the journey as simple, clear and efficient as possible. 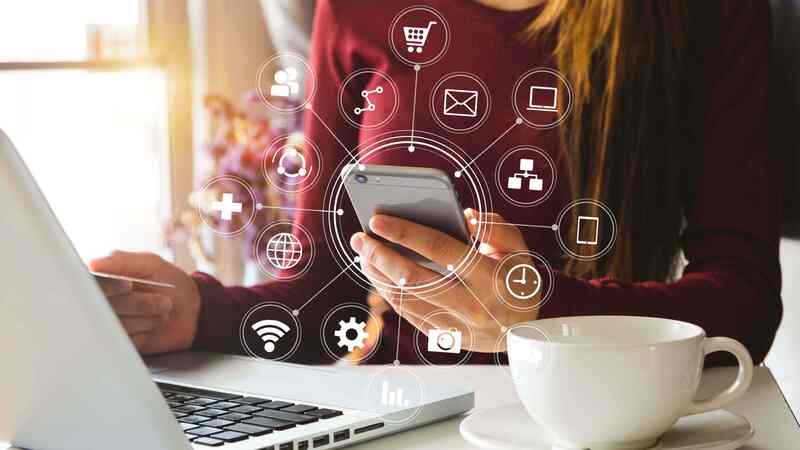 Mapping the customer journey can enable you to better understand your customers and plan exactly how you’re going to connect with each customer across channels and devices. A good customer journey map will make it possible for you to anticipate buying patterns and preferences and tailor personalised text messages to guide your customers through each step of their customer journey. Customer experience can build your business. In turn, it can wreak havoc. It all depends on how you manage it. Not even the most exceptional and delightful of marketing initiatives can cover for a poor CX. SMS is undeniably one of the most popular forms of communication today, with over 18.7 billion text messages are sent daily, according to Statistic Brain. 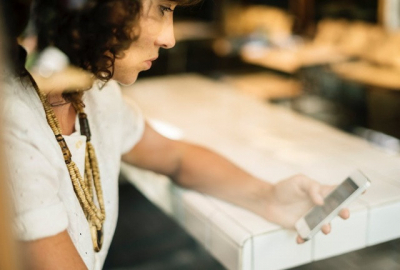 In terms of customer engagements, text messaging is unrivalled. The channel boasts engagement rates up to eight times higher than email offers. In fact, most text messages are opened within three minutes of being received. 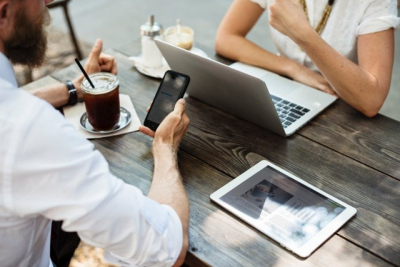 When integrated with your other multi-channel offerings, SMS sending services can ensure you are always connected and engaged with your clients. MXT , SMSGlobal’s SMS platform, allows you to easily manage your SMS communications to suit your business needs. SMSGlobal’s text message service is cloud-based and users can send and receive text messages globally from any internet connected device – even mobile. MXT comes with advanced contact management. Using the platform, you can import contacts from excel and even group them based on demographics, geography or the persona of the customer. Opt-outs are automatically removed from your contact list saving you the time it would take to do it manually. Savvy marketers understand that not all customers are made equal and that it is important to serve each in a uniquely different way. MXT’s ‘merge’ feature makes it easy to achieve this. You can efficiently tailor messages to individual customers when you’re sending bulk SMS. The feature allows you to include customer information such as the customer’s phone number, first name or family name to create a more personalised and effective text message. When sending bulk SMS campaigns, MXT allows you to use either a shared number, a dedicated number, a custom name or the number you used to register your account. However, for two-way communication, you should only use a dedicated or shared phone number. When fully integrated with CX, an SMS sending service can provide you with countless opportunities to create customer touch points that improve the way customers perceive your business. You might have a great product but a single wayward touch point can leave your customers disappointed with your brand. Luckily, most of the touchpoints are within your control and with every touch point, comes an opportunity to wow your customer. SMS is the best channel for delivering real-time confirmations. Customers like to feel assured and you can use the opportunity to increase their satisfaction even more by adding a quick thank you. Customers appreciate knowing when they can expect their purchases to be delivered. Sending an SMS notification confirming the exact delivery time will allow your customers to plan ahead and ensure they are available to pick up their order. Customers value important updates. If a new product or offer becomes available or a situation such as a service interruption arises, it’s important to notify your customers early in advance. SMS can be a great tool for delivering urgent updates thanks to the channel’s convenience and high open rate. Use SMS to welcome new customers. This can make them feel more valued and help start your interactions on a good note. 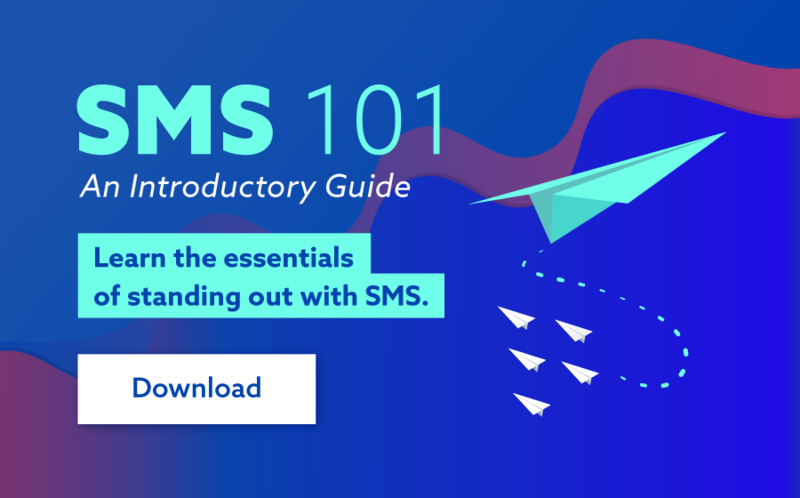 In addition, SMS can help you guide new customers through the onboarding process including account set-up and post-registration follow-up. Days can be hectic and appointments can easily slip through our minds. To avoid costly no-shows, you can send friendly reminders to your clients. SMS comes can be a great tool when you need quick feedback from your customers on the quality of service you provide. The modern customer is more demanding than ever. They want a fast, hassle-free experience where their problems are met with prompt solutions. A text message service can help you to exceed these expectations and provide each customer with an exceptional experience. Remember to always put the customer first. Be respectful of their phone inbox. For example, you wouldn’t want to send more than a few messages in a day and certainly not more than a few non-behaviorally triggered messages per week. Monitor opt-out rates closely, benchmark yourself at regular intervals and understand what messages have the highest opt-out. Remember that the future of competition is based on customer experience. Test and learn with your messages and always put the customer first.